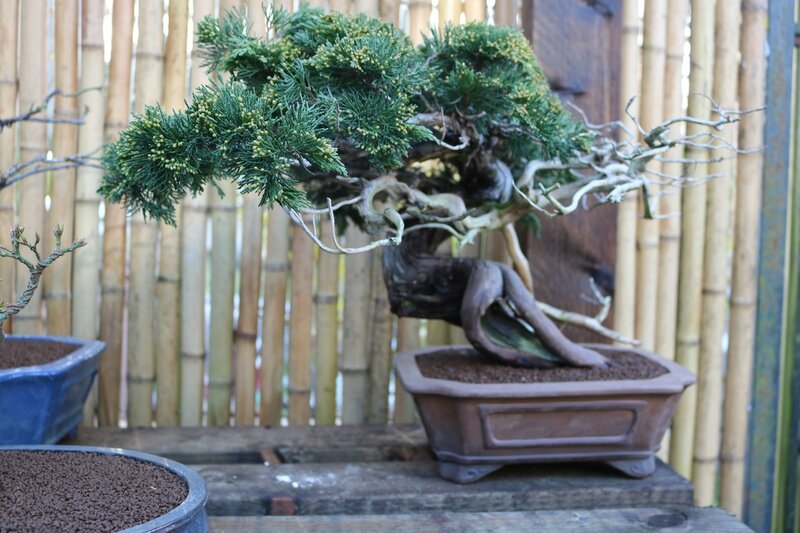 Collected from the Spanish mountains, these Junipers really have 'Yamadori' ... 'Spirit of the mountains'! Having braved the elements in their exposed positions, these trees have grown only a couple of feet high, with trunks that have become twisted and contorted over the decades, producing trees ideal for bonsai, as their maturity tells a story of their life. Collected from Spanish mountains in 2012, the deadwood was worked on by Harry H & myself in 2015, then the foliage styled by Taiga Urishibata in 2016. Potted into this Gyouzan pot in Spring 2017. 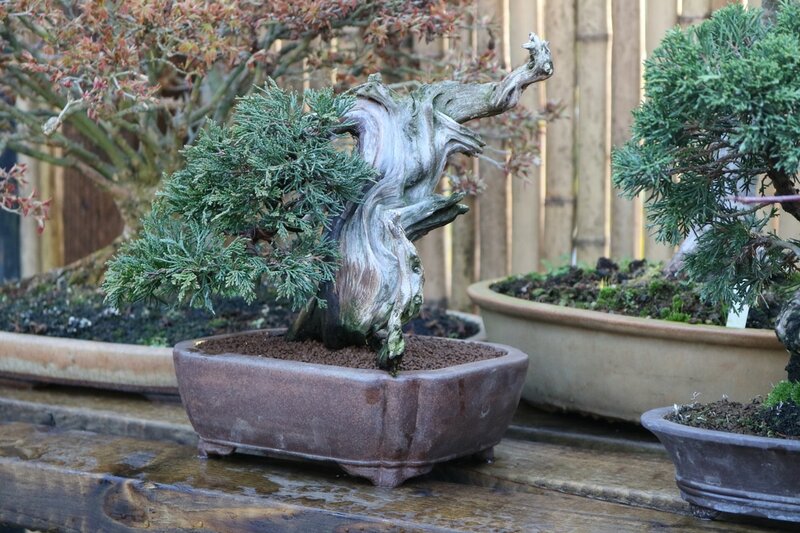 Harry and I worked the deadwood in 2015, it was re-potted into this fantastic Gyouzan pot in Spring '17, then will be styled late summer, all being well.